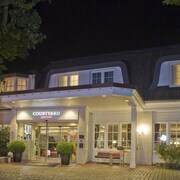 Located in Hamburg-Nord, this hotel is within 3 mi (5 km) of Casio Europe GmbH, Lufthansa Technik AG, and ARRIBA Erlebnisbad. Stadtpark and University Medical Center Hamburg-Eppendorf are also within 6 mi (10 km). Langenhorn Markt U-Bahn is 6 minutes by foot and Fuhlsbuettel North U-Bahn is 14 minutes. 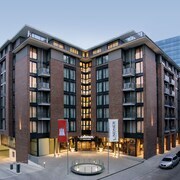 Located in Hamburg-Nord, this luxury hotel is within 3 mi (5 km) of Lufthansa Technik AG, Casio Europe GmbH, and City Nord. Sporthalle Hamburg is 3.1 mi (5 km) away. Fuhlsbuettel North U-Bahn is only a 4-minute walk and Hamburg Airport S-Bahn is 12 minutes. 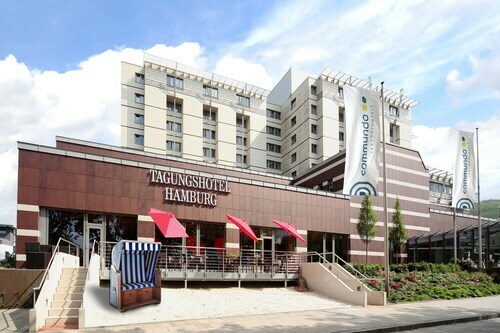 Located in Hamburg-Nord, this hotel is within 3 mi (5 km) of Lufthansa Technik AG, Casio Europe GmbH, and City Nord. Sporthalle Hamburg is 3.1 mi (5 km) away. Fuhlsbuettel North U-Bahn is only a 3-minute walk and Hamburg Airport S-Bahn is 13 minutes. 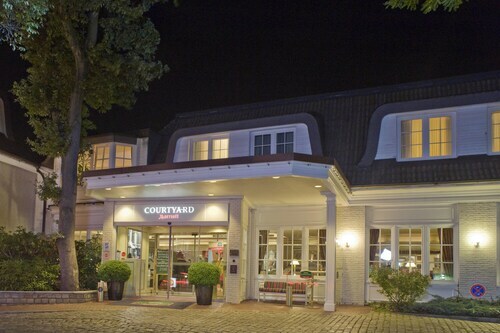 Located in Hamburg-Nord, this hotel is 0.7 mi (1.1 km) from Lufthansa Technik AG and 2.2 mi (3.5 km) from Stadtpark. Sporthalle Hamburg and City Nord are also within 3 mi (5 km). Hamburg Airport S-Bahn is 12 minutes by foot and Fuhlsbuettel U-Bahn is 21 minutes. 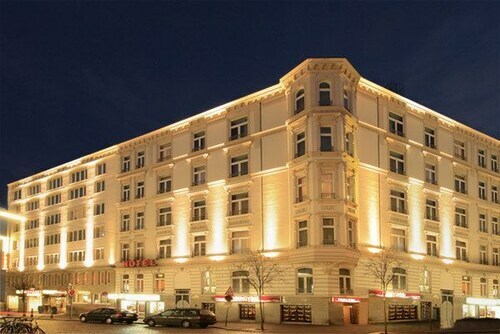 Located in Rothenburgsort, this hotel is within 1 mi (2 km) of Mehr!-Theater am Großmarkt and Hamburg Wholesale Market. Miniatur Wunderland and Hamburg Dungeon are also within 3 mi (5 km). Rothenburgsort S-Bahn is 17 minutes by foot and Hammerbrook S-Bahn is 19 minutes. 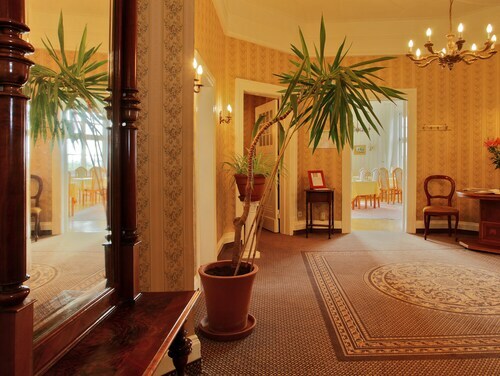 Located in Bergedorf, this hotel is 1.4 mi (2.2 km) from Bergedorfer Castle and within 6 mi (10 km) of Reinbek Castle and Water Park Freizeitbad Reinbek. Dove-Elbe Water Park and Horner Rennbahn are also within 9 mi (15 km). Nettelnburg S-Bahn is only a 5-minute walk and Allermöhe S-Bahn is 24 minutes. 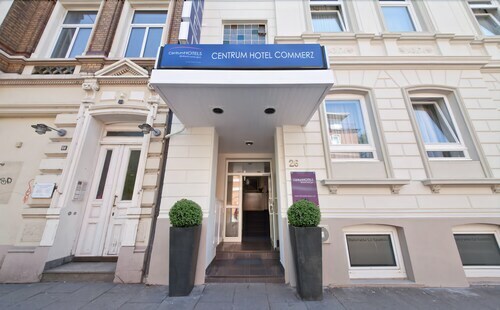 Located in Eimsbuettel, this hotel is within a 15-minute walk of University of Hamburg and Hamburg Messe and Congress. Hamburger Dom and Hamburg City Hall are also within 1 mi (2 km). Dammtor S-Bahn is 6 minutes by foot and Hamburg Dammtor Station is 7 minutes. 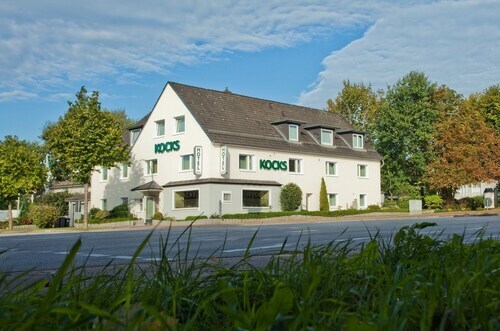 Located in Horn, this hotel is 0.1 mi (0.1 km) from Horner Rennbahn and within 6 mi (10 km) of Jungfernstieg and Hamburg City Hall. Planetarium Hamburg and Botanical Gardens are also within 6 mi (10 km). Norner Rennbahn U-Bahn is 8 minutes by foot and Horner Rennbahn S-Bahn is 8 minutes. As your aircraft starts to descend over Hamburg Airport (HAM) in The Gateway to the World, you can relax with the knowledge that your accommodation has already been organized. Welcome to Hamburg! Feeling a bit worse for wear after a marathon flight? 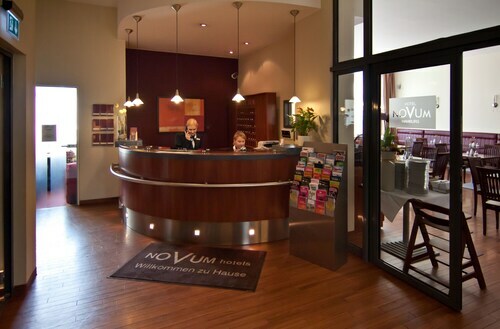 You can relax, since accommodation is just moments away. 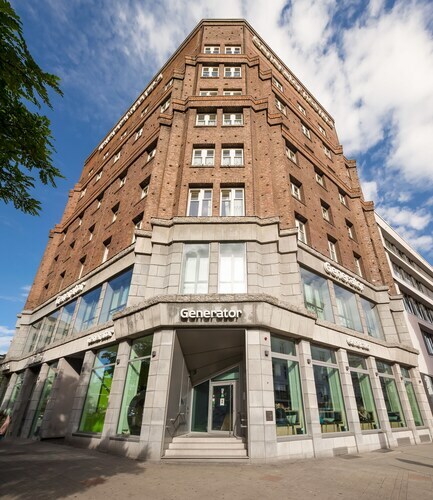 The Radisson Blu Hotel, Hamburg Airport is the only property near your terminal, so book without delay and enjoy a hassle-free start to your trip. For those who don't feel like staying too close to the airport, there are lots of accommodations available in the nearby neighborhoods. Only 3 miles (5 kilometers) away, Eppendorf is a popular location. 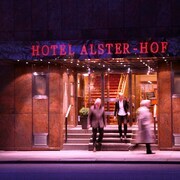 This area offers 12 hotel options, such as the Best Western Premier Alsterkrug Hotel and the Dorint Hotel Hamburg Eppendorf. An extra 6 options can be found in Ohlsdorf, among them the Leonardo Hotel Hamburg City Nord and the Best Western Amedia Hamburg. If you're intending to head to the city, hopping on a train is a handy option. They depart regularly from Hamburg Airport, 0.1 miles (0.2 kilometers) away. Waiting around in between flights can be quite boring. Why don't you use this time wisely and explore the Hamburger Kunsthalle, just 5 miles (8 kilometers) from the airport? So what are you waiting for? Secure your Hamburg Airport accommodation right now and let the adventure begin! 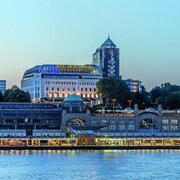 Nice hotel with views of the river, port and close to the Hamburg Reeperbahn district.